MMO games or Massively Multiplayer Online games are incredibly immersive and vast games that are played with and are played by millions upon millions of players all around the world. All of these games feature a persistent world, which means the virtual world continues to exist even after the player has stopped playing the game. Featuring millions of players in large, dynamic worlds with thousands of things to do, customizable gameplay, MMO games or just MMO’s for short are an amazing gaming experience. Some games require an initial purchase with a periodic subscription fee, some require just one of those and some are completely free to play and might have premium elements available on payment. Regardless, playing in a virtual world and interacting with people from all over the globe is great fun. The only downside is, you may require large amounts of time before you can experience the endgame content, and not everyone has that much time to invest. But if you’re looking for a different gaming experience and have time to play, you will be guaranteed thousands of hours of immersive and dynamic gameplay. Unlike single-player games, MMO’s have ever-changing worlds and the developers keep adding and tweaking content regularly to keep it fresh, so to speak. Thus you can do so many things in so many different ways, at the pace you prefer and play the content you wish to experience. Based on the classic world and characters created in 1932 by Robert E. Howard, Age of Conan is set in the Hyboria, chronologically after “The Hour of the Dragon”, the last novel Conan novel published. It features 4 races and 4 classes, along with a combo based combat system. 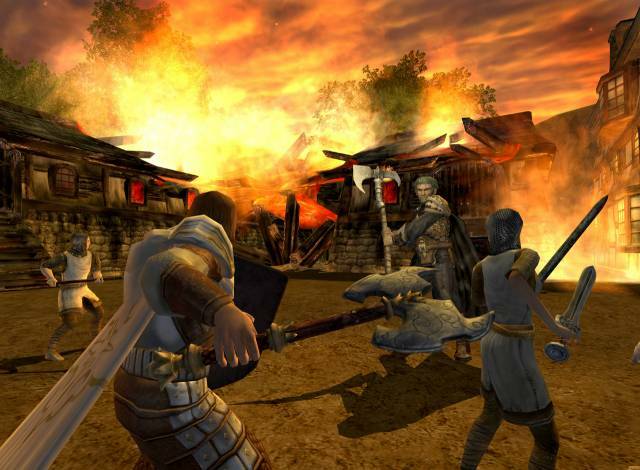 Age of Conan is the game for you if you’re a Conan fan or prefer a dark, mature world and a complex fighting system. Aion puts players in the shoes of angel like beings called Daeva fighting to preserve balance between a shattered world filled with gods and monsters. Its major selling point is that it uses CryEngine, the same engine used in the graphically impressive Far Cry. Aion lets you play as one of 4 primary classes that can later specialize into 2 subclasses. Also, players are granted wings and players can fly for quests, travel, combat and crafting. It’s one of the best looking MMO’s out there. 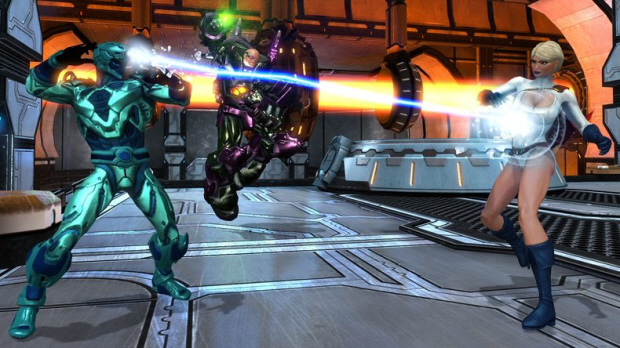 Champions Online is a free-to-play superhero themed action MMOG. It focuses more action than other MMO’s and unlike most, characters collect armor and weapons mostly for cosmetic use. Players can get more powerful by leveling up and gaining stats. Abilities are customizable and can be tailored to your tastes. Furthermore, enemies drop “orbs” that temporarily boost the characters life, powers or energy. Since it turned free-to-play, characters cannot be built from the ground up like they used to be. There are now 8 “archetypes” or basic classes that free players can choose from. Paid customers have access to 7 more archetypes with more planned to be added over time. Continuing in the vein of superhero themed MMOs, DCUO is set in the vast DC Universe and features hundreds of comic book heroes and villains. Players can choose to be a hero or a villain, and their initial choice determines the course of subsequent quests and loot. A mentor has to picked; Superman, Batman and Wonder Woman for heroes and Lex Luthor, The Joker and Circe for villains; who guides players on their journey. Like most MMO’s it includes PvE (Player versus environment) content as well as PvP (Player versus player) content. PvE content rewards in-game money and equipment, while PvP content, large scale gatherings of heroes or villains attacking the opposing faction, rewards special equipment sets. So what side are you on? EVE Online is an MMORPG where players are given control of customizable spaceships through a vast galaxy. Piloting your armada of spaceships and acquiring trade skills is the name of the game here. Combat requires spontaneity and tactics to take down enemies and is incredibly complex. Players have to keep track of damage, speed, range, positions and multiple ship functions. EVE is known for its point and click interface and economy which are actually overseen by a real life economist. A follow-up to the immensely popular EverQuest, EverQuest II is set in the world of Norrath 500 years after the first game. It is an MMORPG with emphasis on leveling, questing and gaining new loot. With a large repertoire of 19 races and 24 classes, players can choose from a huge number of playable characters. Along with questing, EQII emphasizes trade skills and PvP combat as well. It boasts of a highly customizable interface and frequent expansion packs. Guild Wars is an episodic MMORPG that does a few things different from other MMOs. First of all, it requires only the purchase of the game and its individual storyline expansions called “campaigns” and no subscription fees. Combat is unique because players can use only 8 out of thousands of learnt skills in a particular combat situation. This allows for a lot of flexibility and customization. The world is a series of instances and not a singular game world as with other MMOs. It also allows for co-operative questing and consensual PvP combat. The name says it all, LoTRO is set in JRR Tolkien’s beloved universe and lets you play a fixed storyline along with exploring the world and engaging in regular questing and PvP combat. The main storyline is divided into “books” with various quests called “chapters”. You can play as one of 4 races and 7 classes; each class has its own role. Furthermore, players can take up professions for in-game benefits and currency. 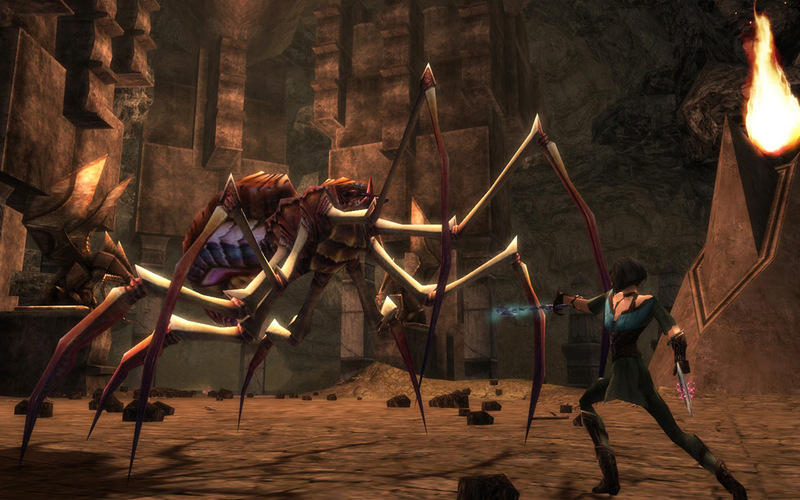 Rift is a fantasy MMORPG that allows players to explore the world of Telara. Like its namesake, “rifts” created by the death god Regulos, are areas of elemental instability where monsters spawn and go towards the nearest settlement to destroy it. It’s up to the players to defeat the evil forces and seal the rift. The unique part is that these rifts are dynamic and have no particular spawn points. Furthermore, upon entering an area surrounding a rift, players are given the option to join a public group to defeat the rift monsters. They will be aided by NPCs (non-playable characters) in defending a settlement. It also features a wide variety of customizable abilities available upon progress from the basic four classes. There are 6 playable races. The big daddy of all MMOs, World of Warcraft was launched in 2004 by Blizzard Entertainment and is the most widely played MMO with over 11 million subscribers worldwide! Set in the expansive Warcraft universe, WoW and its expansions continue the story after Warcraft III: The Frozen Throne. It holds the record for being the fastest selling PC game in history, twice. WoW is extremely immersive and has an amazing amount of content and has something for everyone, including PvE and PvP scenarios. Coupled with the fact that it can run on pretty much any PC and it is huge but still easily accessible, it’s no surprise how popular it is. It allows players to explore a huge world, undertake quests, acquire professions, raid and so much more. Also, it has a thriving community of people from all over the world. WoW features 12 races and 10 classes to choose from, each with their own specializations and roles. These were some of the popular MMOs playable today, there’s a lot to choose from and interested gamers are pretty much spoilt for choice, Happy Gaming! I agree dude, its extremely addictive and fun 🙂 I am in Indian army 😉 nice to play this stuff 😉 strategy and all .